In case you haven’t been keeping up with Marvel’s Guardian’s of the Galaxy (as in the comics) lately… Last year Peter Quill gave up his duties as Star Lord to become the Emperor of Spartax. Leaving the Guardians in the paws of… none other than fan favorite furry, Rocket Raccoon! So Rocket assembled a team that included not only his old buddy Groot and his new-buddy Drax but also (among others) Kitty Pryde of the X-Men and none other than Ben Grimm, the Thing from Fantastic 4! Just in time too, as dangerous new threats have swung into this part of the galaxy… and some old friends may not be trustworthy. Big shock. Now Marvel Comics has assembled Volume 1 (i.e. 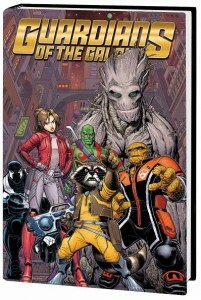 issues 1 thru 5) of Guardians of the Galaxy: New Order into a full-color hardcover collection, written by Brian Michael Bendis and illustrated by Valerio Schiti. Take a look over at Goodreads. 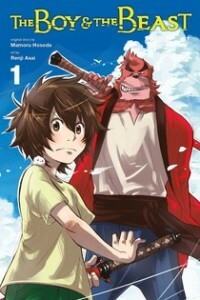 Just in time for the full North American release of Mamoru Hosoda’s latest anime feature, The Boy and the Beast (on the same weekend as Zootopia’s release, grumble grumble…), Yen Press have published Mr. Hosoda’s black & white manga of the same title. “Fleeing tragedy and mistreatment, a young boy named Ren hides among the crowds in Tokyo’s busy Shibuya ward. His efforts to run away are more successful than he realizes when he ends up in the world of the beasts! A rough-living bear named Kumatetsu gives Ren a new life and a new name–Kyuta–but is Kumatetsu really up to the job of being a mentor?” Find out! And check it out over at Yen’s web site. Everyone’s favorite insane seabird super-spy squad is back again in a new 4-issue full-color mini-series, Penguins of Madagascar: Elite-ist of the Elite. 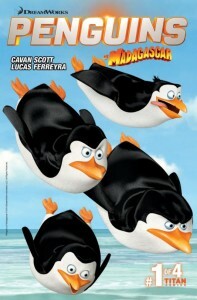 “It’s the start of a senses-shattering four-part Penguins of Madagascar epic story! An army of robots threatens to take over the world – and only our four feathered friends can stop them!” Taking a spin on Dreamworks’ (not as successful as they had hoped…) Penguins animated feature, the comic also includes back-up stories with the baby penguins and The North Wind. 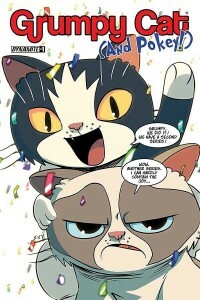 Written by Cavan Scott and illustrated by Lucas Ferreyra, this new series hits the shelves in March. Check out the alternate covers and more at Titan’s Tumblr page. 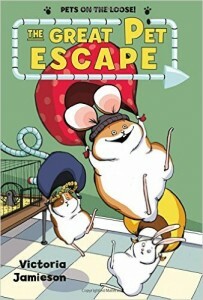 We haven’t heard of publisher Henry Holt before, but now they have brought us The Great Pet Escape, a new graphic novel for young readers written and illustrated by Victoria Jamieson. “The class pets at Daisy P. Flugelhorn Elementary School want OUT . . . and GW (short for George Washington), the deceptively cute hamster in the second-grade classroom, is just the guy to lead the way. But when he finally escapes and goes to find his former partners in crime, Barry and Biter, he finds that they actually LIKE being class pets. Impossible! Just as GW gets Barry and Biter to agree to leave with him, a mouse named Harriet and her many mouse minions get in their way. What follows is class-pet chaos guaranteed to make readers giggle . . . and maybe look at their class pets a little differently in the future.” Squeak on over to Kirkus Reviews to check it out. It’s available in hardcover and trade paperback. She’s Back For More. Oh, Yay. So, How Long Ya In For, Doc? Boom! 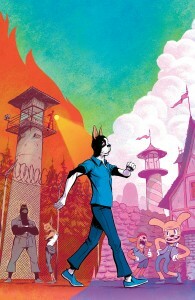 Studios have a new full-color four-issue mini-series, Kennel Block Blues. Written by Ryan Ferrier and illustrated by Daniel Bayliss, you’ll find it on the shelves now. And oh my is it Furry! “Oliver is a good dog. A family dog. But without warning, he’s sentenced to Jackson Kennel, where he’s instantly placed on Death Row with the rest of his fellow inmates, awaiting a lethal appointment on The Table if salvation doesn’t come. He’ll need help escaping the Kennel, but when the stress of prison life builds, he starts escaping reality instead, imagining a fantasy world of cartoon friends. It’s time to break out…into a musical number?” There’s a preview with several images over at Comic Book Resources. Cartoon Critters All OVER You! The artist known as Kira is the creator of artwork known as KiraKiraDoodles. (“Kirakira” is Japanese for “sparkle”, she happily tell you. She’ll also tell you she’s from Germany but recently moved to Southern California.) Taking a cue from popular Japanese art, she not only draws cute “chibi” characters (little doggies, little kitties, pokemon, and so forth) but she draws dozens of them together in exotic patterns that remind one of truly unusual wall paper. 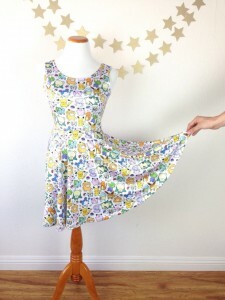 Then, she turns these patterns into not only art prints but lots of useful stuff like phone cases, purses, and even dresses — lots of dresses. (Look closely.) You can see lot of examples of her art pattern work at her web site, which includes links to her Etsy store, Redbubble store, and so forth. We’re not sure exactly what to say about Kitty Jenkins: Purrvana, a new full-color comic created by Daniel De Sosa. Well, other than to say what he says: “Kitty Jenkins returns to guide you on an absurdly amusing odyssey through time and meowter space”. Gotcha. Mr. De Sosa also created the Animal Dreamers Art Therapy Coloring Book, so evidently imagination is not in short supply. It’s all published by Backwards Burd, a comic book publisher in the UK that specializes in diverse art styles and hand-printed zines. Not to mention 3-eyed space cats. Check out their web site for more interesting and unusual titles. 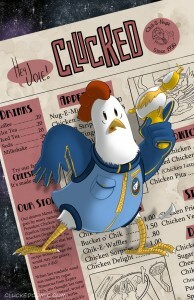 So we were introduced to Clucked, a new full-color on-line comic created by Joie Brown and Joel Foster. “When a chicken lands on Earth in search of kin, he discovers that not only is his kind considered the tastiest thing in the universe… he’s also the only one left. Can he survive the hungering hordes, cosmic chases, and the entirety of the Galactic Federation long enough to save his homeworld?” Well if you want to help the creators bring us more of the trials and tribulations of Major Sanders (yes…), they have a Patreon link on their web site at www.cluckedcomic.com.